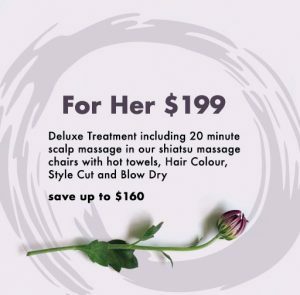 We have put together a fabulous offer you can purchase now for your Valentine AND is valid for 6 months from the 14th of February. How brilliant is that! 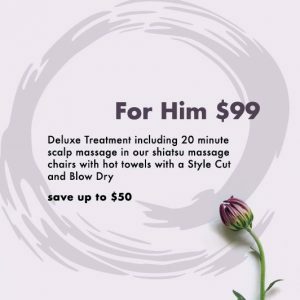 You can choose to purchase one for yourself or multiple for family and friends.....we all have those loved ones with a birthday coming up or who just need some pampering! Deluxe Treatment including 20 minute scalp massage in our Shiatsu massage chairs with hot towels, Hair Colour, Style Cut, and Blow Dry - save up to $160! 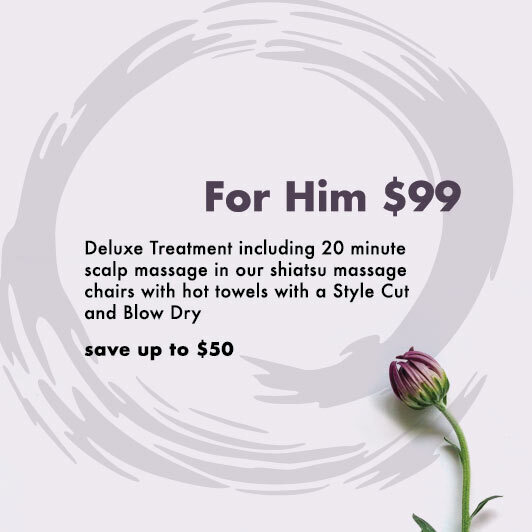 Deluxe Treatment including 20 minute scalp massage in our Shiatsu massage chairs with hot towels, a Style Cut, and Blow Dry - save up to $50! Looking forward to taking care of you soon!